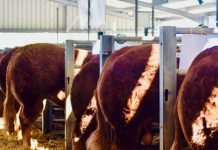 Trade peaked at 9000gns at the East Midland Limousin Club Autumn Limousin Day at Newark Livestock Market on Saturday 6 October 2018. 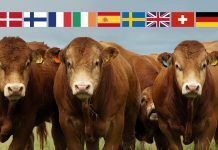 It was a day which saw more than 220 cattle find new homes as the sale delivered a superb 89% clearance rate. 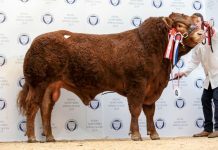 Topping trade was Loosebeare Iain, a 2013 born stock bull bred by the Quick family, Devon and offered by Messrs Booth who run the Sevengun Herd at Hardwick Hall Farm, Aston, Sheffield. 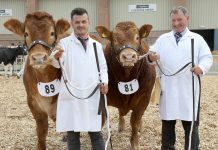 By Loosebeare Fantastic, a Wilodge Vantastic son and out of Loosebeare Elite a Haltcliffe Anzac daughter, Iain was Supreme Champion and trade topper at the British Limousin Cattle Society’s Autumn show and sale of bulls at Carlisle back in 2014. Selling with a beef value of +46, this solid stock bull was knocked down to Esmor Evans for the Maerdy Herd, Mold, North Wales. 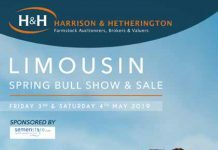 Second best among the bulls at 5800gns was Mereside Hallmark, a 2012 born bull bred by the Hazard family, Grantham and offered as part of the dispersal of the Gascoines herd for the Gascoines Group. This Dormeue son is out of a Vagabond daughter and was the pick of J F Vance and Sons, Minsterley, Shropshire. Then making 4000gns was a son of Hallmark, Gascoines Nebraska. Again from the Gascoines Group, this bull is out of a dam by Fieldsons Beefy and was knocked down to P J Wilson, Whitwell, Nottignhamshire. At the same money was Calogale Magnum from Messrs Lee and Lloyd. This son of the 145,000gns Trueman Jagger is out of an Ionesco daughter and was bought by Ian Rowe, North Wingfield. 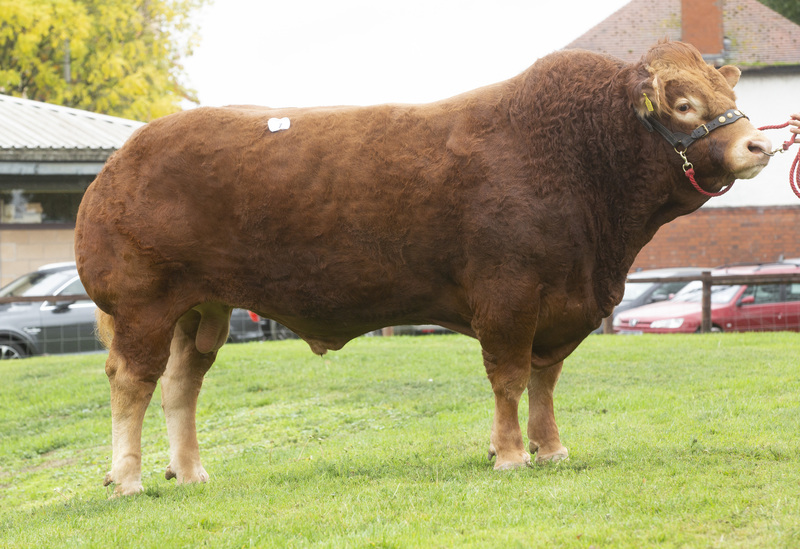 Another trading at 4000gns was another by Mereside Hallmark, Gascoines Nimrod from the Gascoines Group. This one is out of a Greenwell Corinthian daughter and sold to J Booth, Doncaster. Taking a fourth and final 4000gns call was Coachhouse Neil from Messrs Heald. Sired by another Mereside bull, this time Mereside Daytona, he is out of a Haltcliffe Picasso daughter and was knocked down to Ian Wildgoose, Scarcliffe, Derbyshire. Close behind at 3800gns was Gascoines Newsboy from the Gascoines Group. Sired by Hallmark again, he is out of an Ardlea daughter and headed home with Fristling Hall Farms, Stock, Essex. Topping prices among the females on offer was a cow and calf outfit from Darren Wharton, Norfolk. Withersdale Jasmine, an Amptertaine Commander daughter out of a dam by Wilodge Vantastic sold with her heifer calf at foot, Withersdale Oceana for 8000gns. She is back in calf to Withersdale Invader and was sold to Anita Padfield, Great Yarmouth. Second best at 5000gns was in-calf heifer Withersdale Miribelle from the same home, with this 2016-born daughter of Sympa being out of another Vantastic daughter. She was offered in-calf to Kaprico Eravelle and was the pick of G and S Gilleard, Doncaster. At 4500gns was the best from the Gascoines dispersal, Cockleshell Misty. Bred by the Pitcher family, she is by Mereside Hannibal and out of a Greenwell Corinthian daughter. 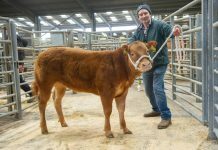 This in-calf heifer sold carrying to Fieldson Beefy and was bought by R N Gent, Laxton, Nottinghamshire. Then making 4000gns was Cockleshell Hunice, again from the Gascoines dispersal. Sired by Bolide, she is out of a Jockey daughter and sold with her third calf, a bull calf by Mereside Hallmark, at foot. 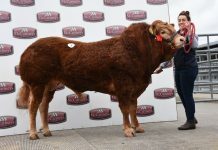 Buying her was Raymond Lee, Co Fermanagh. 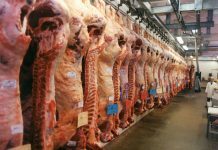 Taking a 3600gns call was Gascoines Numberone. 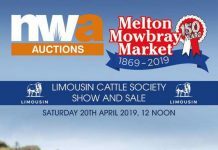 Sired by Mereside Hallmark, this maiden heifer is out of a Grahams Elliott daughter and was knocked down to R P and D L Hutchinson, Balderton, Nottinghamshire. Two then traded at 3500gns, the first a maiden heifer Calogale Madonna from Messrs Lee and Lloyd. She’s a Trueman Jagger daughter out of a dam by Haltcliffe Bill and was taken by Lee Enefer, Feltwell, Norfolk. Bailgate Flavia from the Gascoines dispersal was the other at this money. This Haltcliffe Vermount daughter is out of a Vagabond daughter sold with her sixth calf at foot, a bull calf by Mereside Hallmark. Following this came a 3200gns bid for a January-born heifer calf Gascoines Ohlove. 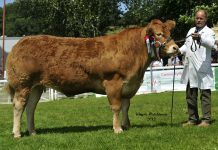 Sired by Procters Loneranger she is out of Gascoines Ilove, a Fieldson Beefy daughter and was taken by A Lindsay, Longridge. Her dam, Ilove, then followed at 3000gns, with this second calver having run with Mereside Hallmark and scanned back in-calf. She was bought by previous buyers R P and D L Hutchinson.